When you order a steak from a Dallas steakhouse do you prefer it to be tender or chewy? At Y.O. Ranch Steakhouse, we know what the obvious answer is. A great steak is meant to be enjoyed as it practically melts in your mouth, exposing all of its intricate flavors to your taste buds. The next time you decide to go out for a steak, make sure that you pick the right cut for tenderness. Here are the top four steaks that rank the highest on the tenderness scale among Dallas steak lovers. Tender is in this cut of beef’s name. While this is usually one of the more expensive cuts, its tenderness is ultimately what creates the value. Also known as filet, it is a cut that stems from the short loin under the ribs of the animal. This cut tends to be thick but is the most tender that one can order. The New York Strip is another cut that hails from the short loin of the animal. However, this piece is located behind the rib and is usually fattier than its relatives. Don’t be fooled, though. Even though this cut has a healthy portion of fat marbling throughout its body, there aren’t fat pockets to struggle through and it is usually quite tender. This cross section of the short loin is a Texas favorite. Usually sold bone-in, the T-Bone or Porterhouse is a healthy cut of meat that gives guests the best of both the Tenderloin and New York Strip worlds. In order to get the tenderness right on this cut, you want to ensure that you are at a great steakhouse that has a skilled chef who will be able to handle cooking two different steaks in one cut. At Y.O. Ranch Steakhouse, our founder and chef, Tony Street, is able to successfully combine the buttery cut of a Tenderloin with the beefiness of a strip steak in a T-Bone dish that you won’t soon forget. Bone in or boneless? The choice is yours for this cut. Regardless of how you order your Ribeye at Y.O. 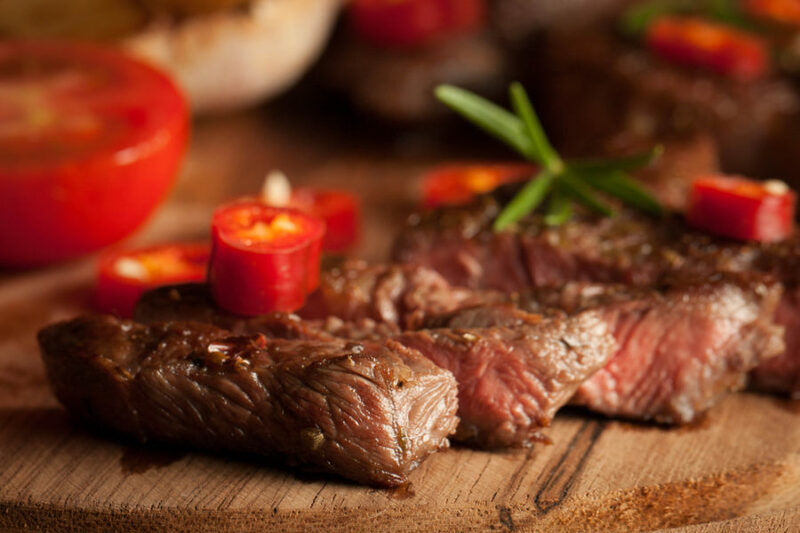 Ranch Steakhouse, you can guarantee that you will have a tender steak that is both juicy and packed with flavor. This cut usually has lots of fat marbling in the meat with finer graining towards the center of the steak. Combined with the large pockets of fat throughout the body, this creates an unforgettable steak experience when this cut is cooked by a professional. The perfect steak can be hard to come by. That is unless you’ve made a reservation at Y.O. Ranch Steakhouse. Our downtown steakhouse offers the best in beef cuts, wild game, and more. Reserve your spot at our table today and discover for yourself why we are among the elite of downtown Dallas dining.